Reach for the Sky When You Sing: Read These GTD Audio G-380H VHF Wireless Microphone System Reviews – Is GTD The Best Wireless Microphone? As a professional singer, I want the best wireless professional grade singing microphones. Don’t you? Especially if you have a group, or just like to have spares, these GTD Audio G-380H VHF Wireless Microphone System reviews will show you where the meat is. If you love to perform on stage and want to impress the audience with your skills, use a high-quality mic system to make your voice audible. Many times, stage performers lose the show just because of bad sound impact. Or, they experience some technical disturbances in the microphone wiring. That is why experts recommend using wireless microphone systems to ensure perfect sound distribution when you sing. Take time to read reviews of the GTD Audio G-380H VHF Wireless Microphone System. It’s gained huge popularity among professional vocalists for a long time. If you need good cheap mics, this wireless set is a money saving deal. And, you don’t have to compromise on quality. The GTD G-380H is a professional level, 4 channel VHF wireless microphone system. It includes the latest technology integration. Now, complete the design with Surface Mounted Technology to ensure high-end performance without any signal disturbances. Each mic features separate volume adjustment switches on every receiver. The mic works perfectly up to 65-meter range while producing decent sound quality. Singers enjoy the 4 different frequency settings which can be adjusted by users. The system also supports 4 XLR individual outputs along with ¼ inch mixed output. 4 channel receivers and 4 mics that work perfectly on all frequency settings. every channel has its separate volume control switch that can be adjusted as needed. It gives decent sound distribution up to a wireless range of 65 meters or 230 feet. So, you don’t have to worry about stepping out of range when you sing. The mic set includes one ¼ inch mixed output along with 4 XLR individual outputs. Satisfactory frequency response for wide frequency range that varies between 45Hz and 18KHz. An expected Battery life up to 9 hours. Best of All: Your Satisfaction is 100% Guaranteed! 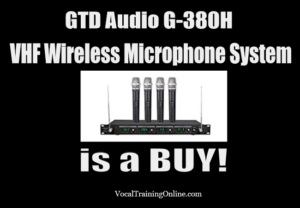 The GTD Audio G-380H VHF Wireless Microphone System is 100% satisfaction guaranteed, or your money back. 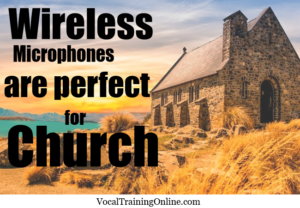 The only way they are able to offer a guarantee like that, is because these really are the best wireless microphones for singing – period! I am very pleased with this system for the money. I have had much more expensive systems that have not worked as well. All 4 mikes are equal in output, and I have had no problem with dropped signal. For the price, it cant be beat! I ordered this for our “basement” band because cords were becoming an issue and I have to say do not let this set fool you, these are really good quality mics! Played with the microphones for the first time last night and they worked flawlessly. No complaints whatsoever. It offers higher frequency stability. Improved sensitivity so that all signals can be picked accurately. Wide range with good sound quality. It uses the most advanced technology called SMT (Surface Mounted Technology). And, the mounts use the highest quality surface mounted components to ensure quality and reliability. This wireless microphone is ideal for professional performance, in church or home karaoke use. This GTD Audio G-380 microphone set projects a very high-grade professional quality sound and reliable 4 channel VHF wireless handheld microphone systems. I didn’t find many negatives on this set of microphones. The only thing is, if you only need one wireless mic, then there is no need to buy a set of four. Other than that, I’d rate the GTD Audio G-380H VHF Wireless Microphone System a buy! Final Review Verdict: In My Opinion the GTD Audio G-380H VHF Wireless Microphone System is a Long Time Coming! If you are really serious about your live vocal performances and want to entertain your audience with best sound quality, invest in the GTD Audio G-380H VHF Wireless Microphone System. This microphone for singers has been tested by professionals on stage performances. And, they benefit from its impressive response. Moreover, the G-380H supports a wide frequency range. It ensures a perfect pick of all low-level sound variations with improved sensitivity. As a serious singer, enjoy the best experience for your live performances. But, maybe you’re not interested in performing on stage professionally. Don’t worry. This mic system works well for home karaoke needs. Have fun with friends and family during weekend parties. So yes, you should invest in this product to make a mind-blowing entry to the music world. 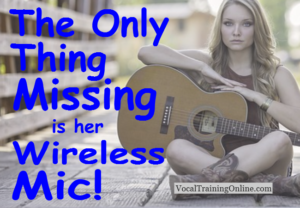 ==> Get FREE & FAST shipping (US only) when you purchase wireless microphones for singers through this special link. Q: Where to buy GTD Audio G-380H VHF Wireless Microphones? A: You can buy the GTD wireless Microphone set directly through the manufacturer through this link. Q: Are the handsets powered by 9-volt or AA batteries? A: They are powered by AA batteries. So, it’s inexpensive to change batteries often. Good luck. And, here’s to you having an exciting fun time singing with your new wireless microphone system by GTD!